The species is widespread in much of Britain, becoming scattered in northern England and northern Scotland. It is widespread in western and central Europe. P. degeeri is by far the commonest species of the genus and can be found in low vegetation by grubbing or sweeping. It occurs in a wide range of habitats from woodland clearings and path-sides to grassland, quarries and even household detritus. 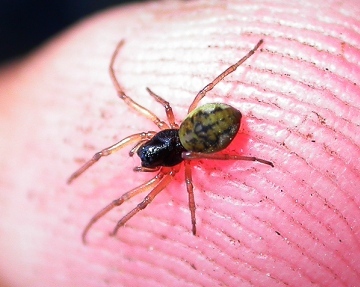 The common factor appears to be that this spider is found in more humid microhabitats. For example on grassland they are often near or in crevices in the ground or in tussocks. Adults can be found throughout the year, mainly in the summer.